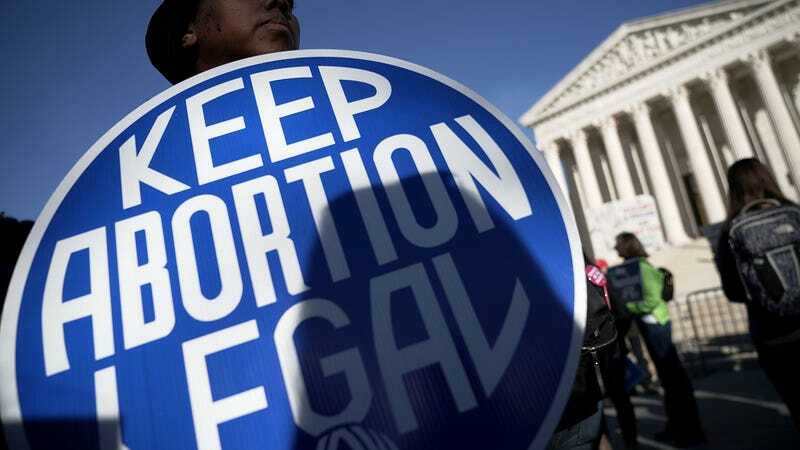 This week, Missouri became one of seven states that now has only one clinic that provides abortions, after a second clinic was shut down over its inability to comply with an anti-abortion law that is currently being challenged in the courts. The closure of the Planned Parenthood clinic in Columbia, Missouri comes as a result of a law passed by the legislature in 2007 that mandated doctors who perform abortions to have what are known as hospital admitting privileges—an unnecessary and onerous requirement, and one that is essentially a business agreement, that many states in recent years have used to restrict access to abortions. In 2016, Planned Parenthood affiliates filed a lawsuit challenging the law; in September, federal appeals court judges ruled that the state can enforce the requirement, and on Monday, they ordered the rule to go into effect. All abortions scheduled for Wednesday have been canceled, Planned Parenthood Great Plains spokesperson Emily Miller told the AP. The only remaining abortion clinic in the state, the Planned Parenthood clinic in St. Louis, is more than 100 miles away from Columbia. According to the AP, Planned Parenthood attorneys have asked a district court judge, Brian Wimes, to temporarily allow the Columbia clinic to offer abortions. Wimes has yet to make a decision. Meanwhile, the legal challenge to Missouri’s restrictive law continues.